Valentine's Day is right around the corner. With the thoughts of love in the air, why not teach your kids about the love of God and what it means to them? God's love is like no other love in the world. 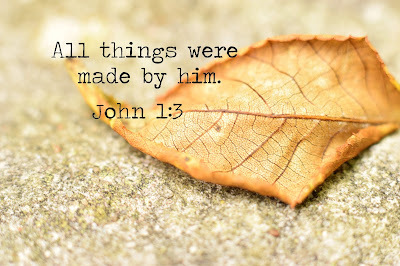 In fact, God's love is so great he sent his only begotten son to die on the cross for our sins so that we could one day go to heaven to live with him forever. Jesus loves us so much that he willingly died on the cross for our sins. What an amazing kind of love! And take a second to 'Like' this inspiring Facebook page! 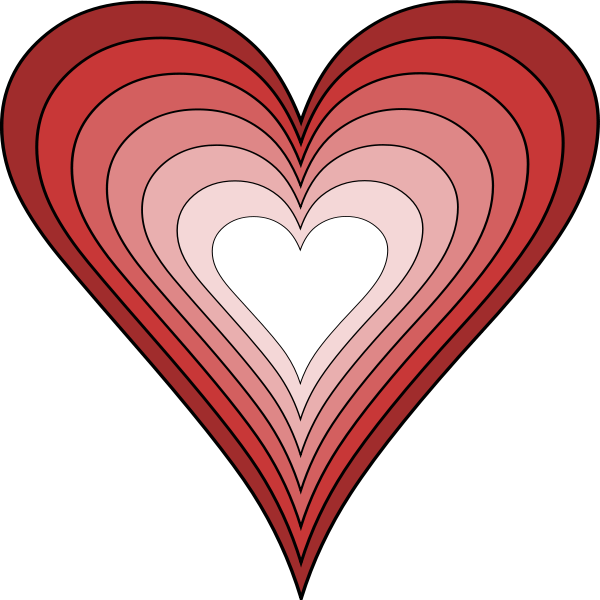 I also found these amazing little hearts you can hand out to your class and instead of throwing them away like they would paper Valentine cards, they can plant them. Give each child two or three of these little hears along with a small pot and a bit of potting soil in a baggie. When the kids get home, they can plant the hearts and watch them grow!! 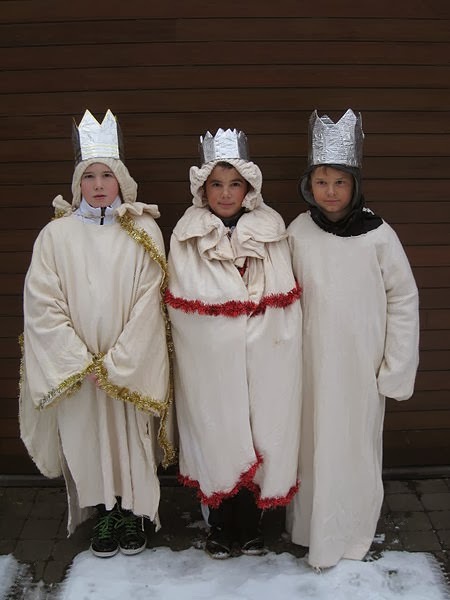 Below are three different Sunday school activities. The first is for older kids, the second for elementary kids, and the bottom one is for small children. 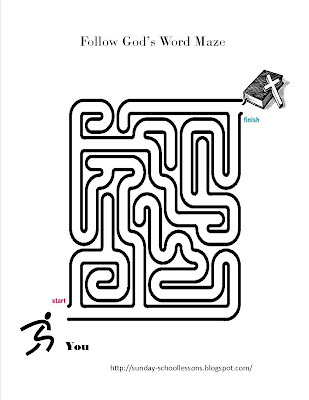 If you'd like, print off the top one for the adults in your church and let them work it out! 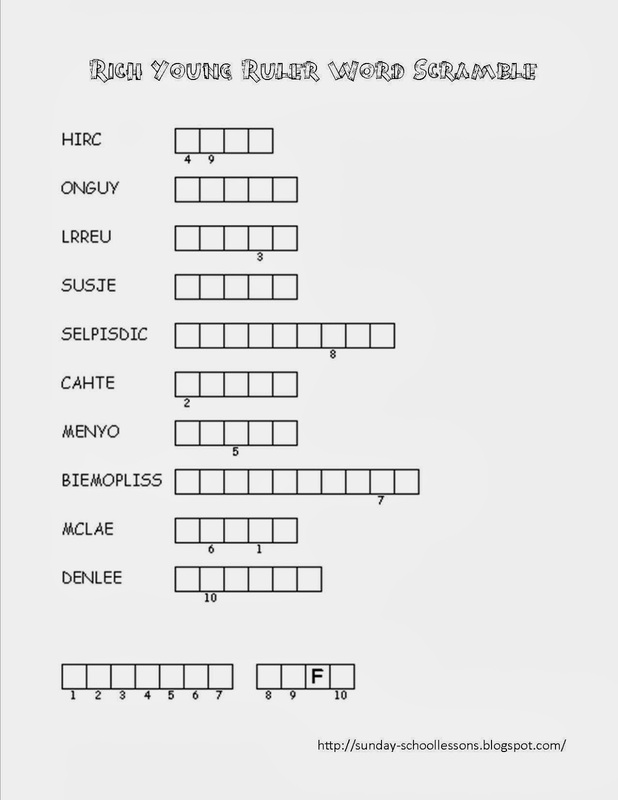 Tip: Since you know the answer, you can always fill in the numbers before handing out the puzzles if you feel they are too hard. If needed, the bible verse is listed at the top of the printout. 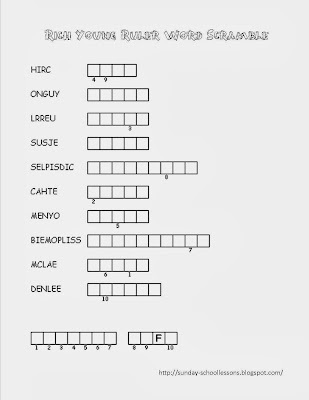 There is a question at the top of the puzzle. 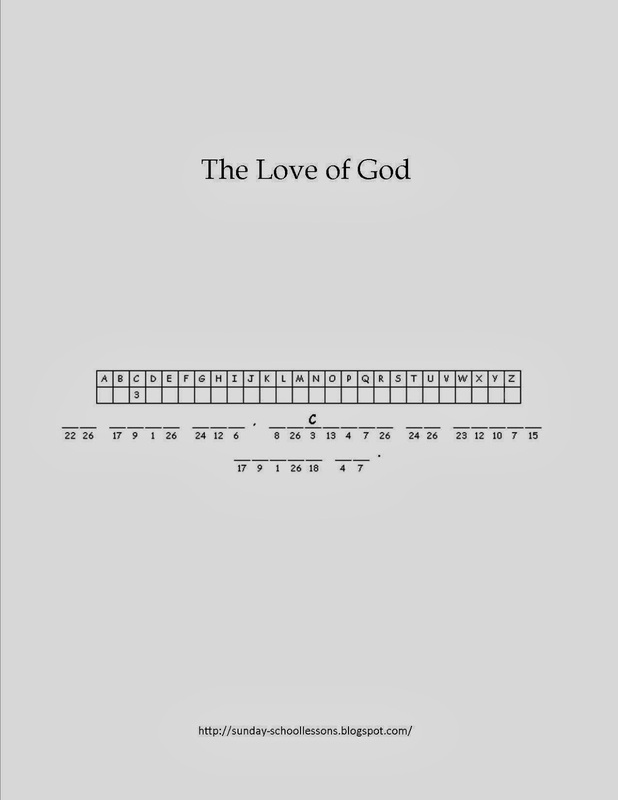 It asks, "Who loves you?" The kids must figure out the puzzle to see who loves them. Kids can also color in the letters at the top. 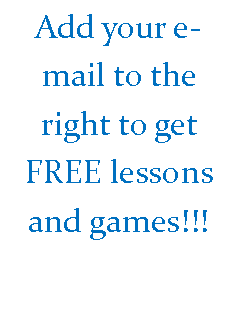 Get more FREE Sunday School Activities and Sunday School Games!! The bible story of Moses is one that shows the courage, determination and love of one mother to save her son. While she chose to break the law and not turn him over to the Pharaoh's cruel law, she ultimately not only saved her own son, but the entire Israelite nation! God was with Jochebed as she made the decision to hide him in a basket in the Nile River. 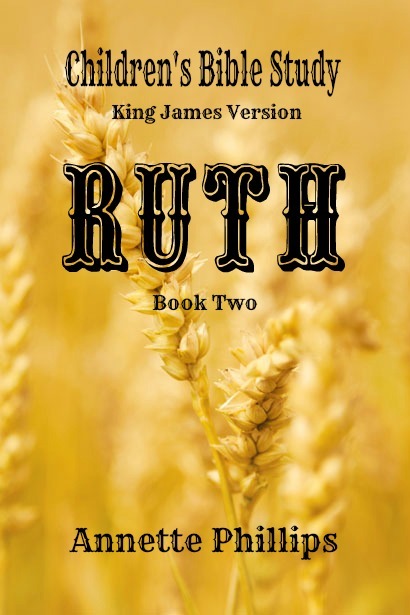 Although she didn't know that her little baby boy would grow up to part the Red Sea and lead the Israelites to the Promised Land, she did know she loved him and took a chance to save his life. If only we would take a chance and step out for God! How would our life change if we only took that first step to trusting God whole heartedly! Before explaining the game, take time to listen to the remarkable song by Brit Nicole to get you into the chance-taking mood. 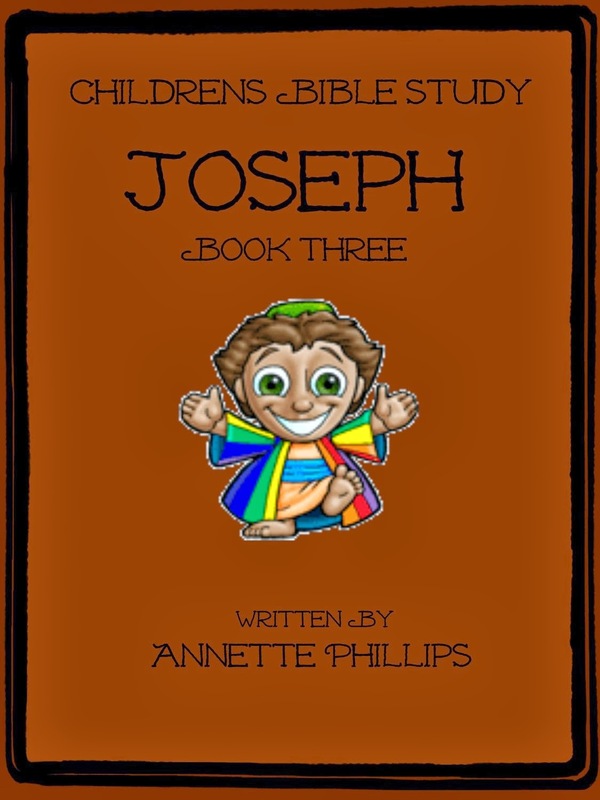 You can also get the FREE bible story of Moses to teach your kids. The only thing you'll need to play this game is a paper picture of a basket and some tape. You can either print out the picture of Moses' basket (above) or draw one yourself. It doesn't have to look pretty. Kids don't mind. I drew a picture of a basket about 4 inches long and 3 inches tall. I colored a blue blanket on top and cut it out. Have the kids turn to one wall or put their head down on a table and close or hide their eyes. Use a piece of tape on the paper basket to hide the paper basket under chairs or tables, along walls, behind curtains, or anywhere else you can find. Once hidden, let kids find baby Moses. Whoever finds the basket gets to hide it next. 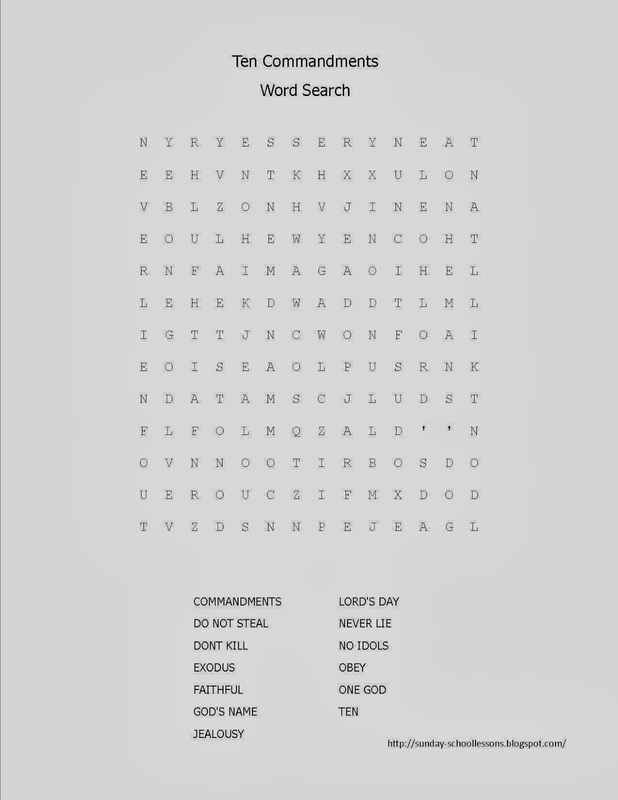 If hidden too hard, you can give clues or play 'hot' or 'cold' until they find it. You'll be surprised at how much they love this game - I was. Have fun and enjoy teaching about Moses! Picture of basket above is courtesy of Open Clip Art. 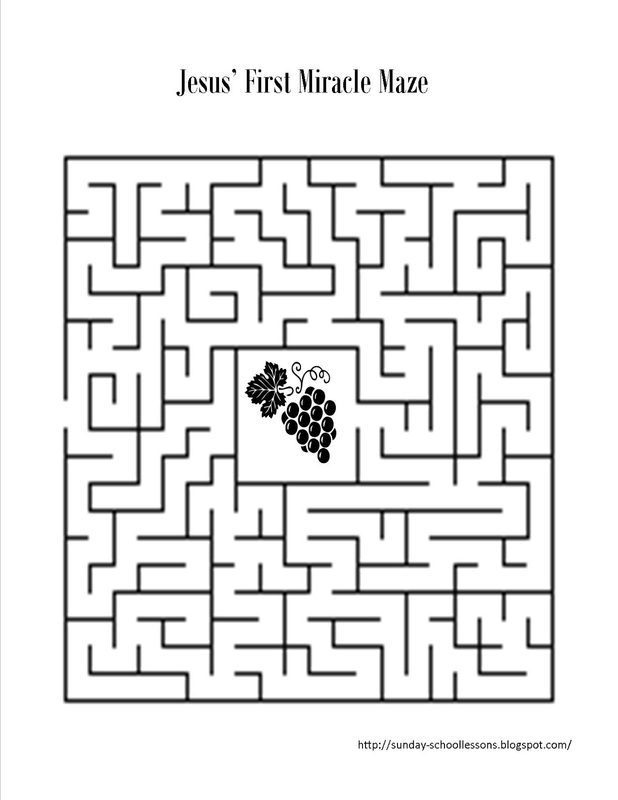 If you are like me, you always want to make sure you have an extra Sunday school activity ready at hand. Kids can be finicky. Sometimes they love to sing and dance while other times they want to play a game. Of course, you never know what will keep their attention from week-to-week, so I want to make sure you have something different ready to go. 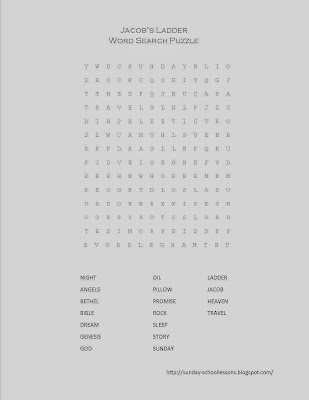 Here is a free printable word scramble to go along with the Sunday school lesson - Rich Young Ruler. It will be a bit difficult for pre-school aged children, but the older kids will love it. 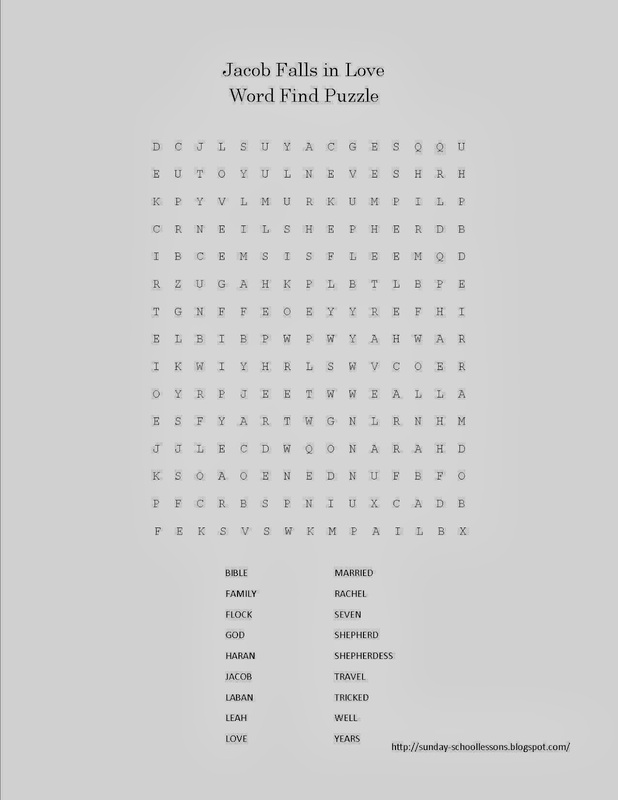 Many kids love to race, you can choose to let them race to see who can unscramble each word or may finish the whole page. Whatever you decide to do, do it for the glory of our Lord and Savior! 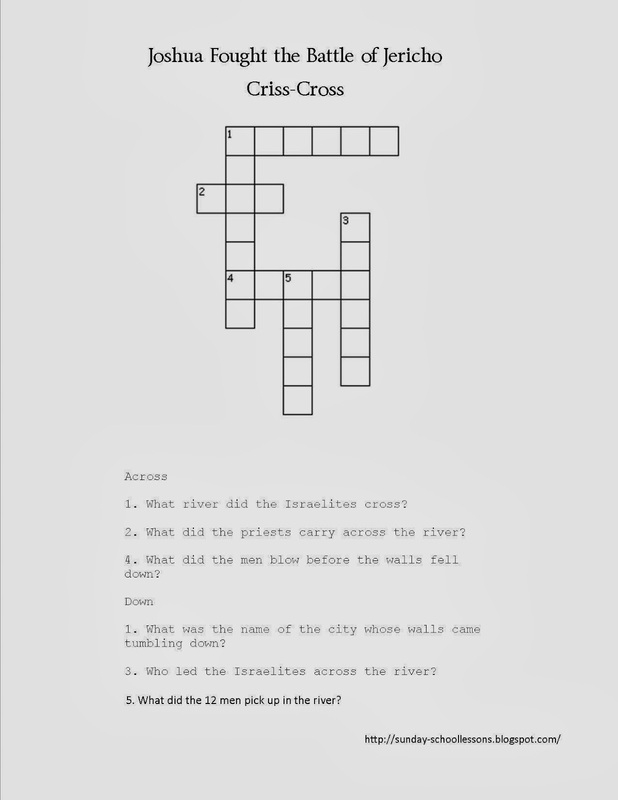 Here are the answers so you don't have to figure them out on your own. Enjoy! The final phrase at the bottom is ETERNAL LIFE! 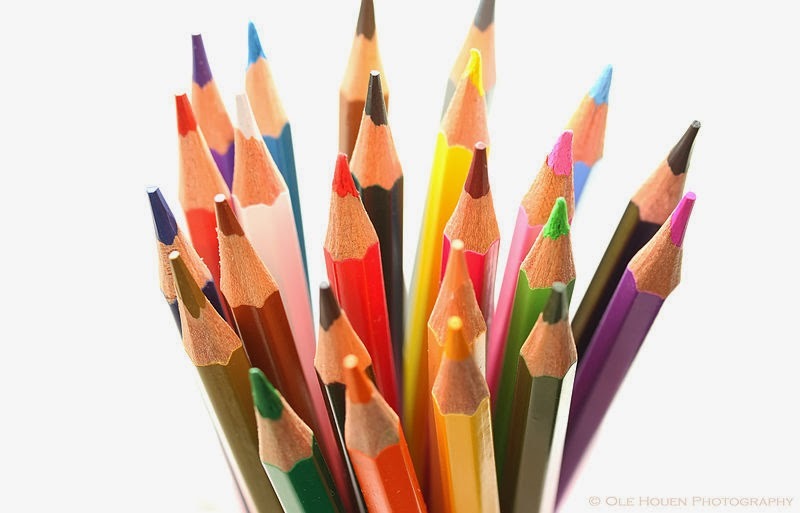 the title can be colored in using markers or colored pencils. If you'd like to make your own Jacob's ladder, you can use the technique in the video below. You can also use other supplies so that every kid in your Sunday school class can make one of these ladders to take home for themselves. For those who are teaching Jacob's Ladder in Sunday school, we have a Sunday school lesson you may like to use: Jacob's Ladder Sunday School Lesson. First, watch the video. Then, keep reading below to find out other ways to make them. Of course, you can purchase a kit straight from The Scrapbook Lounge or buy a pre-made Jacob's Ladder instead. For anyone who is not too crafty or for those who don't have enough time in Sunday school to make one of these cute little toys, you may want to buy some that are already made. I found some on Amazon that comes in a package of 12. 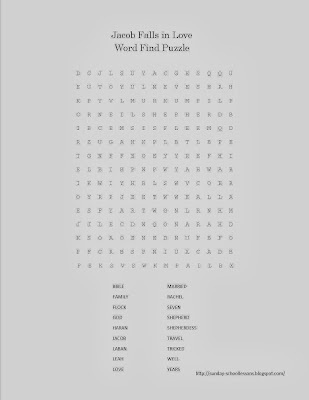 For anyone who'd like something different for their class, you can use this free word search puzzle designed especially for this lesson. If you'd like something completely different or have older kids, you may want to give them each a piece of string and teach them how to make the ladder with it. I've included a video for that below too. The lady in the video goes step by step. If you get lost, just hit back and start again. 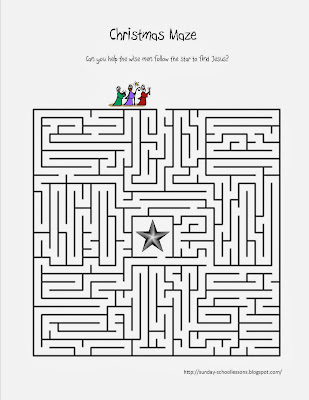 It's fun and keeps your mind working! Jacob was always into something when he was a young man. First, he tricked his brother. Then, he tricked his father. Now, he is on a journey to find himself a wife in a different country because he is afraid that his brother may kill him if he stays. While that sounds a lot like a 'Soap Opera', it is just one of the true bible stories we can tell our Sunday school class. 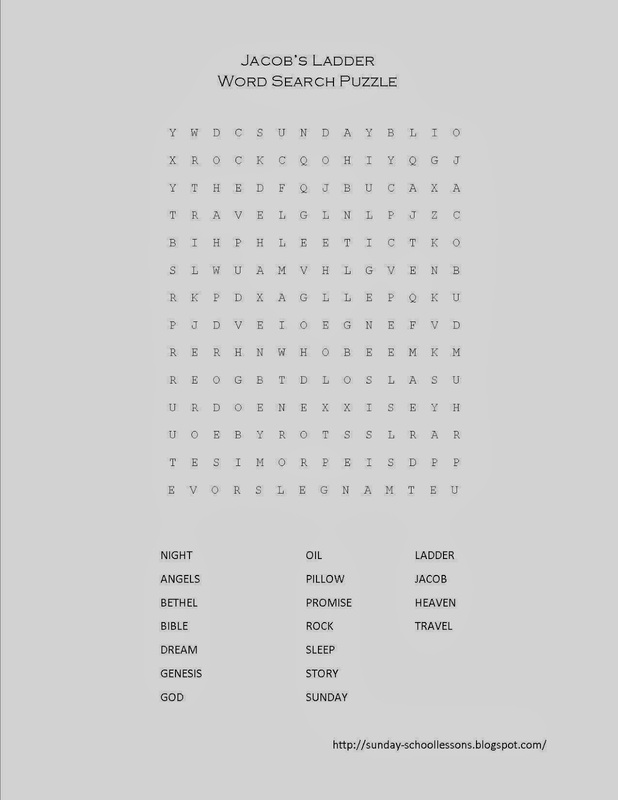 We've made this word search puzzle to go along with the Sunday school lesson of Jacob's Ladder. 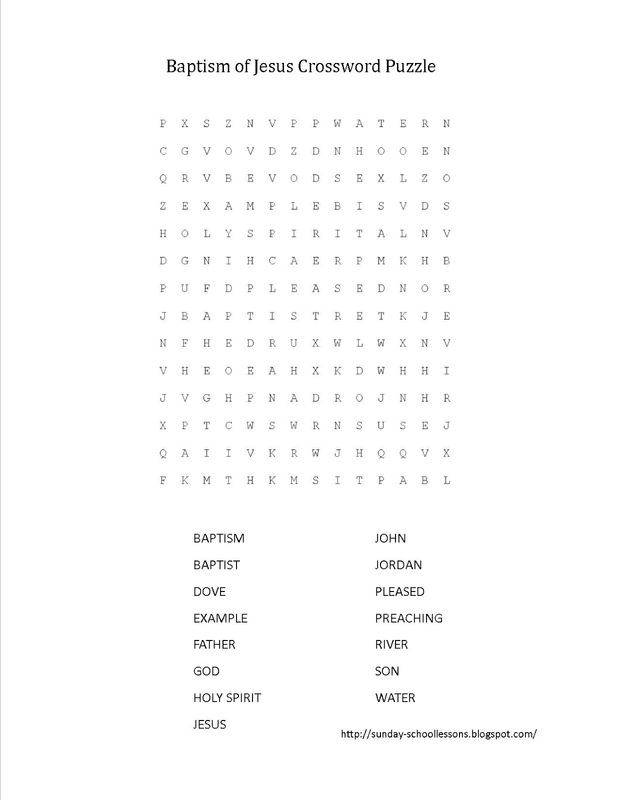 After you've taught your class about Jacob and his famous ladder, you can use this word search puzzle to fill in time or talk about what they've learned. 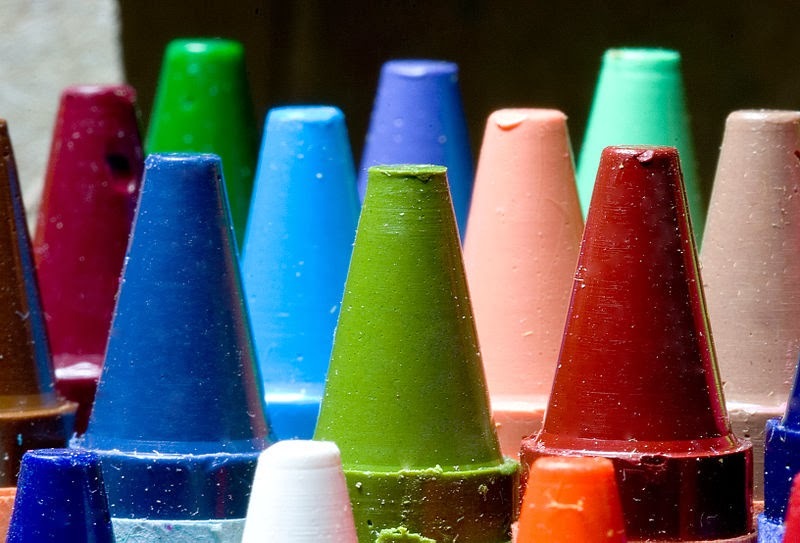 You may also have extra time on your hands or have kids who love crafts. If that is the case, think about making your own Jacob's Ladder craft! 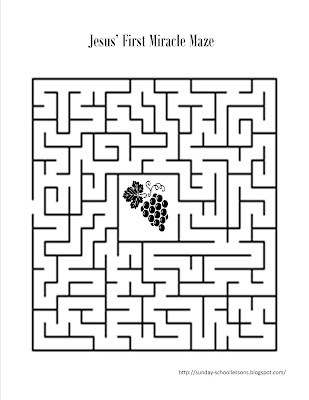 Use this fun Sunday school game to teach kids bible verses to go along with the lesson or to reinforce the Sunday school lesson about the Fishers of Men. You can also teach the kids the song "I Will Make You Fishers of Men". It's a cute song for younger kids to learn especially when you use the motions. Any stick will work to play this Sunday school game. 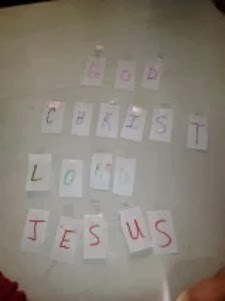 First, you’ll need to prepare several bible verses to hang on the wall or to be printed out for the kids to see. 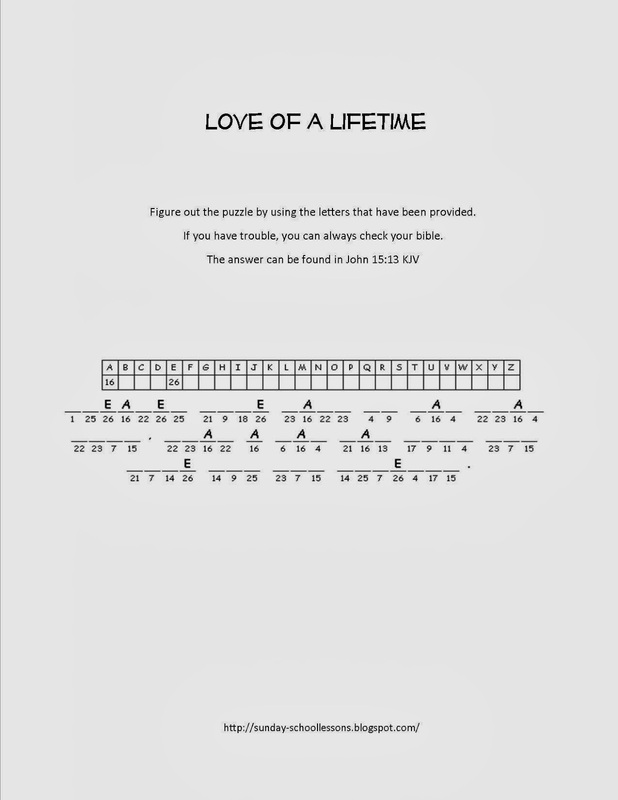 Write a number on the bible verses (ex: 1, 2, 3 ,4, and so on depending on how many verses you’ve prepared). Next, write a number on each of the fish to go along with the bible verses you've selected. Glue a magnet to the mouth of each fish. 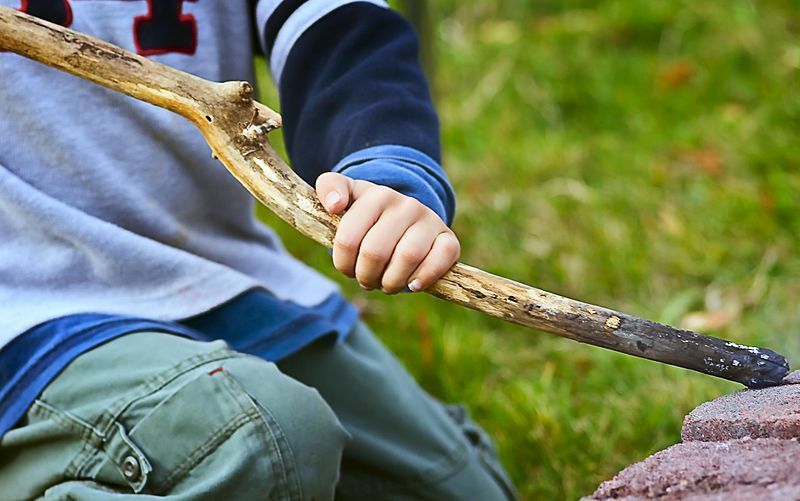 Attach the string to the stick to make a fishing pole. Add the paper clip to the bottom of the string to be the hook. When a child catches a fish, the child will have to find the number on the fish and match it to the bible verse with the same number. They will say the verse two times and get back in line to catch another fish. You could also print the bible verse on the back of the fish instead of a number. If you have several helpers, this fishing game will go fast and the kids will be able to catch more fish and in turn say more verses. We try to use verses for this game that the children are familiar with but do not know by heart. Make the game more fun by hanging up a bed sheet in a doorway and let the kids fish over the sheet so they will not know which fish they will catch. Someone can sit on the other side to add the fish to the paper clip. Use other things besides fish like paper: boots, seas shells, sharks, bottles, a sunken ship, and so on. 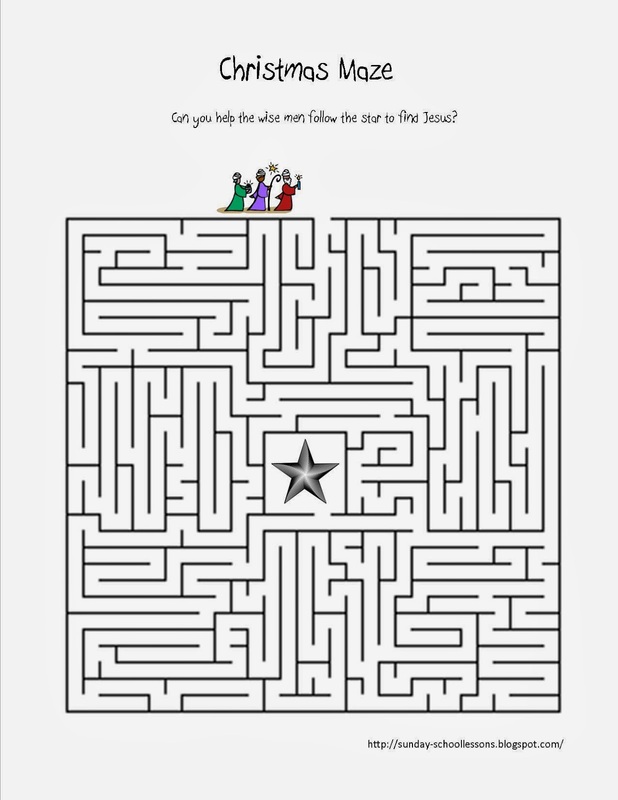 You can even add people to the line if you are teaching the Fishers of Men bible story. May God bless you as you teach children the word of God. This fun Sunday school game will have the kids laughing and learning all at the same time! We came up with this game to go along with the FREE Sunday school lesson about Jonah and the Whale. The great thing about this game is you don't need any extra props or equipment! 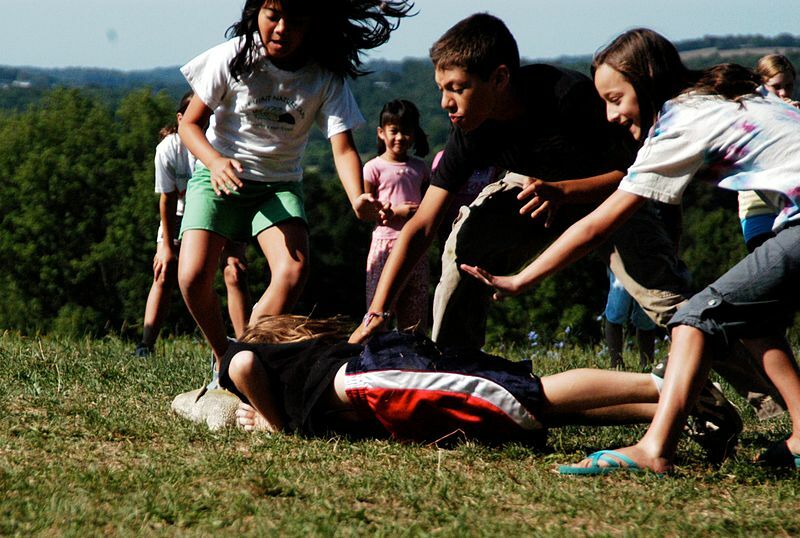 The only thing you'll need for this game is room to run and kids who want to have fun! This is a great game to use in VBS and church youth groups too! Depending on how many children you have will determine the amount of room needed for this game. The kids will start the game on one side of the room or area. Pick one person to go first. This person will be the 'whale'. The 'whale' will stand in the middle of the room. The kids will try to run from one side of the room to the other without getting caught, or tagged, by the whale. Tip: The area should not be too big as the 'whale' will have a hard time catching anyone and may become discouraged. It is more fun to allow the whale to catch someone each time across. If a child is tagged by the whale, that person will stay in the center too. The more children who are tagged the harder it will be for those remaining to make it across. This game moves pretty fast making it easier to play over and over which kids love. The game ends when only one player is left who hasn't been tagged and the center is full of whales. Sometimes, everyone gets tagged and that's okay too! Just pick another 'whale' and start again! Here is a quick video to get you started on your next 'Bible Trivia' game. You can use the bible trivia questions in the video along with these trivia questions for FREE. It's amazing how much fun the kids can have with just some simple bible questions and some other kids. You can also incorporate bible sword drills into the game for some added fun and learning. I hope you enjoy this video. Be sure to subscribe so you won't miss out on upcoming bible game videos! Have you ever played a trivia game where you're trying to beat another person or a timer? 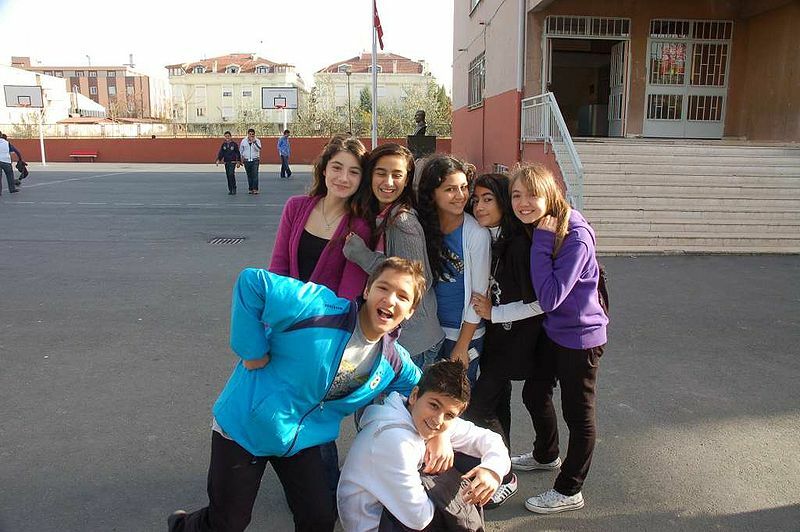 It is fun and exciting. TV producers have even made hundreds of game shows using this same technique. What makes these types of games so fun? 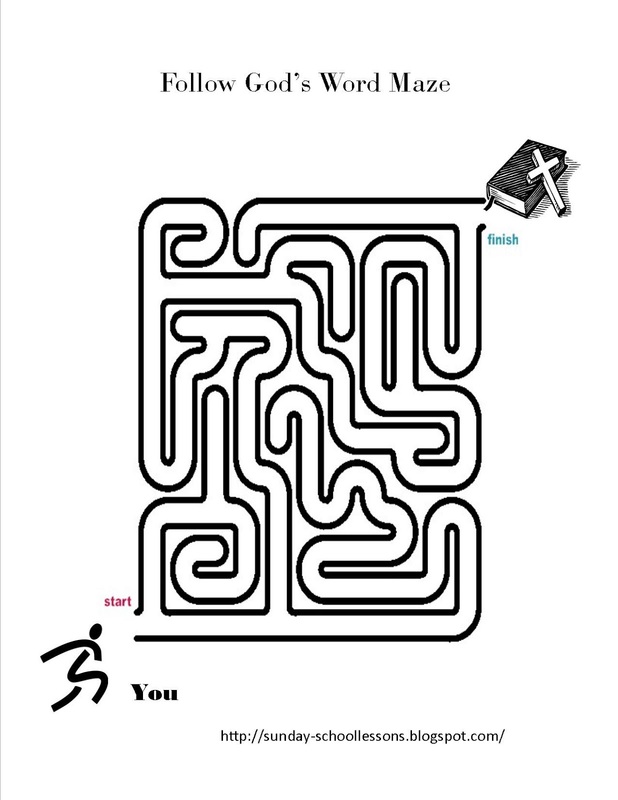 Basically, it is because you are racing against a clock or another person. You want to try to answer the question before the other team has a chance. You want to show that you know the answers, right? I have to admit - I love playing the 'Family Fued' app on my children's iPods. It is fun to try to beat the clock! Using this same type of system, gather up some bible trivia questions and get a game going! You can use this type of game with your Sunday school class, a Youth Group, a whole church congregation, or even invite surrounding churches for a full blown 'Bible Trivia Face Off!" (all in good fun of course). 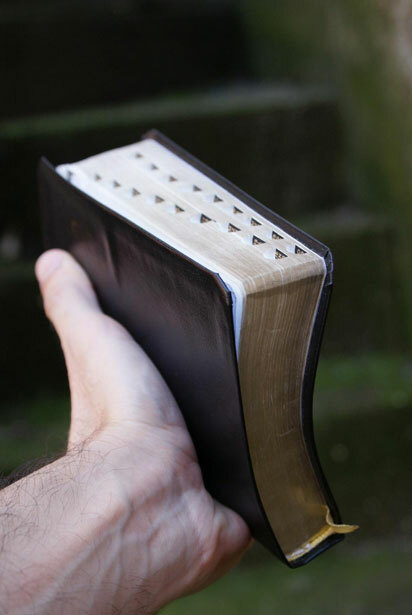 Here are some bible trivia question about well known bible stories to help you get started. Use as many questions as you like during the game. Try to keep the answers short and sweet as it helps keep the game rolling along nicely. These bible story questions have been taken from Daniel and the Lion's Den, Jesus Feeds the 5000, the 10 Commandments, and Ruth. Choose questions about bible stories you've been going over in class as it is fun for the kids to know the answers or at least most of them. You'll find they will become discouraged if there are questions about stories the majority of the kids have never heard before. What did Daniel do to get thrown into the lion's den? He prayed. What does the 10 Commandments say about being jealous? Do not be jealous of what others have. What does the 10 Commandments say about lying? Never tell a lie. 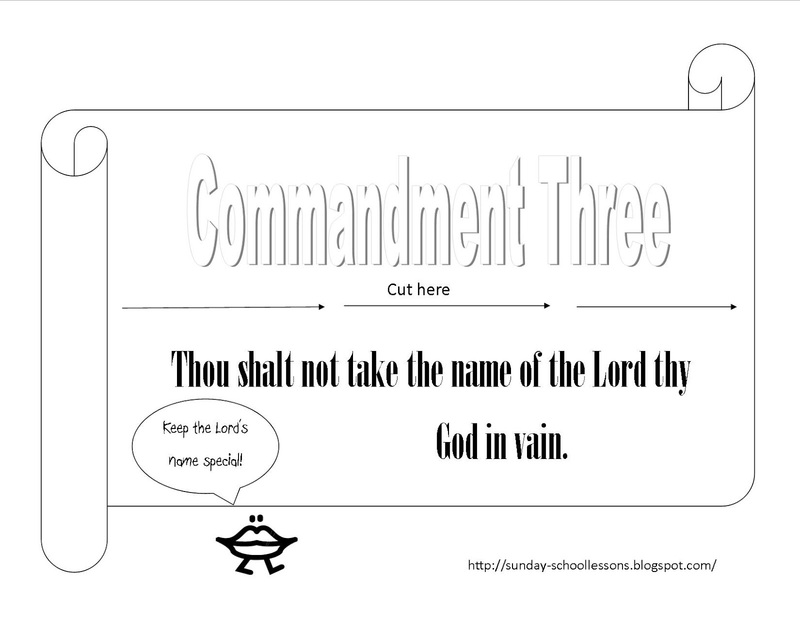 What is the 5th Commandment about moms and dads? Always obey your mom and dad. Watch a Bible Trivia Video for more trivia questions. Find more bible trivia questions that following along with bible stories you've been discussing or make some up of your own. Be sure you decide how you'll play the game and about scoring before class begins. You can have groups competing or you can let everyone compete as individuals giving the winner a ribbon, a new bible, or even a pack of gum. Whatever you choose, do it for the glory of God. 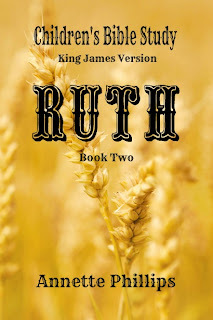 Get the Ruth bible story for your kids or to teach your class. 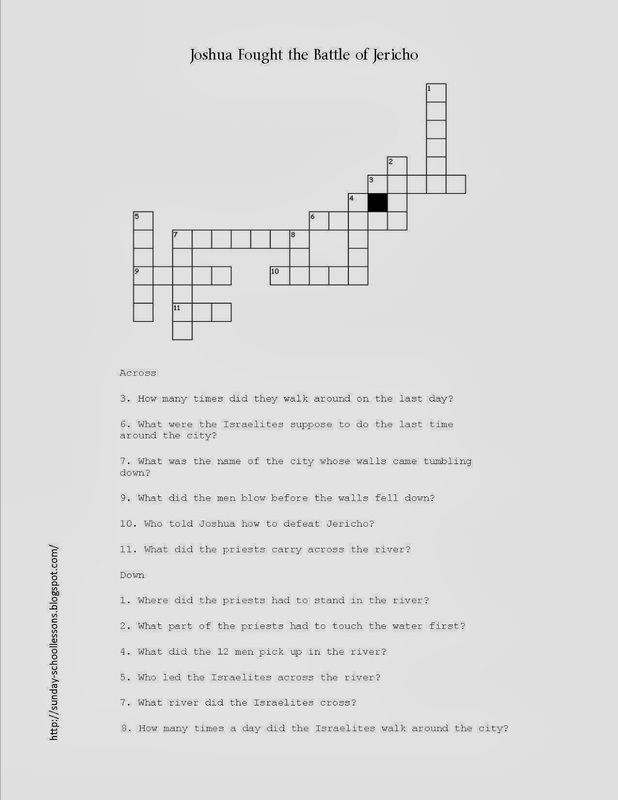 Here is a FREE video for you to help teach bible verses using Sunday school games. 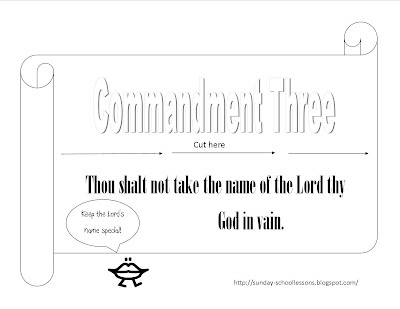 We've added three bible verses we like, but feel free to use whatever bible verse that goes along with your Sunday school lesson for the week. 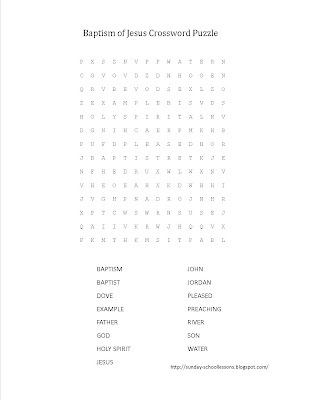 We hope this Sunday school game comes in handy the next time you want to teach your kids a new bible verse. Remember it is important to teach the kids bible verses word for word the way God intended them. Don't try to make things 'easy' on the kids by changing words. The kids will learn the meaning of God's word as you teach it to them. If they learn at an early age how to read the bible, as they get older, it will become a part of them - just as God wrote it.